The Dreadnaught Cutaway. The natural evolution from Jeff Babicz's original prototype 'Identity'. 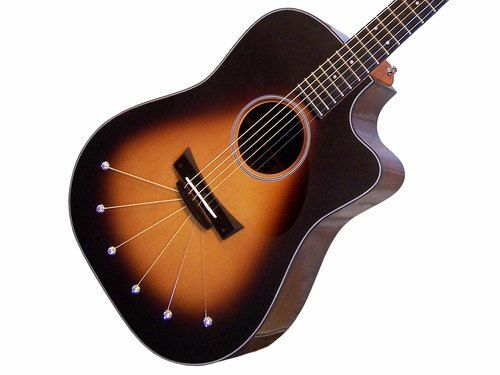 Warm, rich tone from a solid Englemann Spruce top, along with the projection of a solid Rosewood back. Combine these tone woods with the versatility and performance of the 'Continually Adjustable Neck' and 'Lateral Compression Soundboard' and you have what Steven Wilson of Porcupine Tree calls "a truly remarkable instrument". 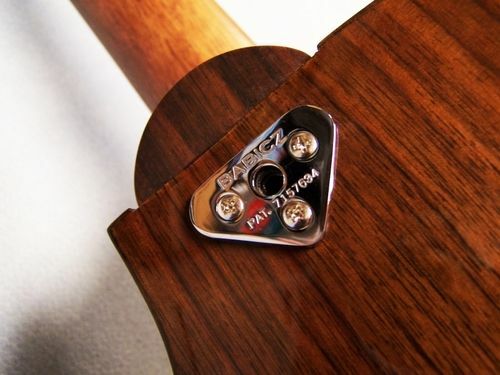 The comfortable 1-3/4" nut width lends itself to all styles of guitar playing. Set the string height ("action") to exactly where you are most comfortable and you are ready to experience a clarity, sustain, projection and response that sets the Babicz DCRW apart from other high end guitars. With the included 'L.R. 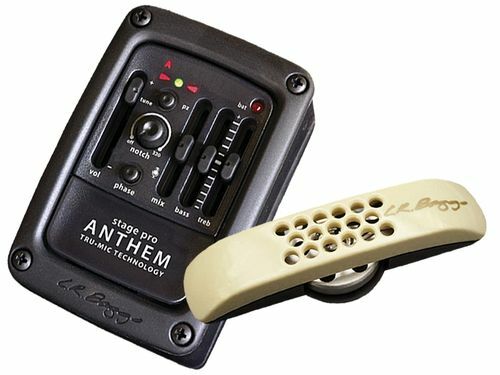 Baggs Anthem Stagepro' already installed you can set your Babicz DCRW to the perfect blend of "Tru-Mic" and "Element" output and tone. The Babicz features will give you the confidence to play in any conditions, as you can "self-regulate" the guitar to your specific needs at any time. Unparalleled craftsmanship, stunning aesthetics, innovative performance features, and most importantly, superior tonal qualities work together in the most recognized example of Babicz Guitars. Includes the L.R. Baggs Stagepro Anthem Onboard Active E.Q. System! 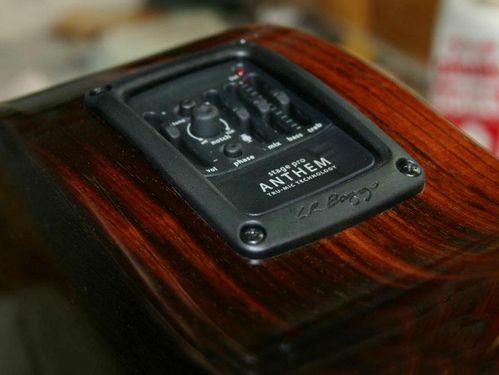 We proudly feature the Stagepro Anthem dual pickup preamp/E.Q. system, which combines the L.R. Baggs Tru•Mic technology pickup, and the Element™ undersaddle piezo pickup. The side-mounted preamp/EQ includes a mix/blender control and features volume, treble, bass, and phase inversion controls-including an onboard built-in tuner. This system is for diverse Babicz performers who want incredible Tru•Mic fidelity, along with the presence and snap of the high-quality, award winning Element undersaddle pickup.